LOVING this amazing collection from Emma Hayes. I want these pillow cases and blanket SO bad people! How pretty! 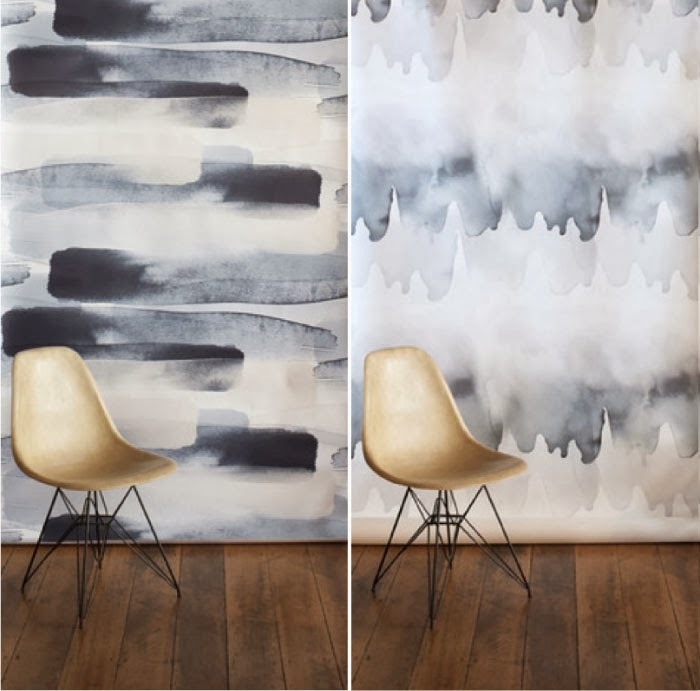 I'm digging this wallpaper too, particularly the one on the left, and I am wondering if I can recreate this look with paint in my new place.